I get this question a lot from my friends who are taking or planning to take USMLE Step 1. And I am sure some of you who are planning to take USMLE Step 1 also have the same question. Here is your answer to this question. 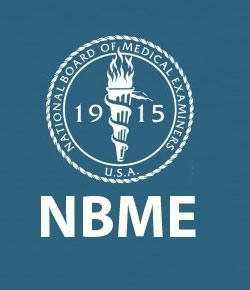 First Aid for USMLE Step 1 is enough depending on the strength of your basic science’s background. If you had a very good basic sciences background then First Aid is enough. But, if you are like me, who had a very weak background in basic sciences then there are little tweaking that you need to do to get the maximum score possible. When I took the exam, I realized that almost 80% of the materials were from First Aid. Some of the questions were straight recalls and others were little tricky but you can easily find them on First Aid. So what’s the trick to get a very good score with First Aid? To answer that question I will use myself as an example. I was very weak in anatomy, biochemistry, genetics and neurology. When I started with USMLE World, I kept on getting questions wrong on those. It kind of got me mad at one point. For Anatomy – I watched the Kaplan videos. I didn’t read the lecture notes. It was way too much to read. I just watched the videos. Make sure you only watch the “Gross Anatomy” section. That old guy in the video is absolutely amazing. I think he is my favorite kaplan lecturer. He saved my life with anatomy. I can guarantee you that after watching the Gross Anatomy Videos from Kaplan you will never get a single anatomy question wrong. For Biochemistry & Genetics – I watched the video and read the kaplan lecture notes on biochemistry. Now, I did this in the beginning of my preparation. You just need to read the lecture notes and watch the videos once and then you can go back to First Aid Biochemistry section till you take the exam. I will say even if you are good in biochemistry still go back and watch the kaplan videos and read the lecture note on biochemistry. It’s a must! For Neurology – I used to hate neuroanatomy and neurology because I kept on getting UW questions wrong. And I get fed up of that. So what I did was, I read the high yield neuroanatomy book front to back once. It was quick. I think it took only three days to read it. After that I never got a neuroanatomy question wrong. I also used few videos from this website to master few concepts in neuroanatomy (Opthalmology). After mastering those three sections, I would say First Aid was enough for me. So, to answer this question if FA is enough or not, I will say study your weak areas from a different sources or videos and then come back to First Aid and USMLE World. That should get you a very high score! Don’t forget to repeat USMLE World three times before taking the exam. Good Luck to you all! 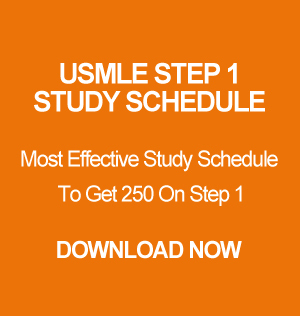 Author USMLE ExperiencesPosted on January 18, 2014 July 29, 2017 Categories First Aid, USMLE Step 1 ExperiencesTags First Aid, USMLE Step 1 Experiences1 Comment on Is First Aid For USMLE Step 1 Enough?